The award winning Galloway Country Fair returns this summer to Drumlanrig Castle and Country Estate on Saturday 17 and Sunday 18 August 2019. The annual two day event will take place in the picturesque surroundings of the Estate and celebrates all aspects of rural life. Showcasing the best of country pursuits, local craftsmanship, artisan food and drink as well as show-stopping entertainment, it’s a not-to-be-missed weekend. 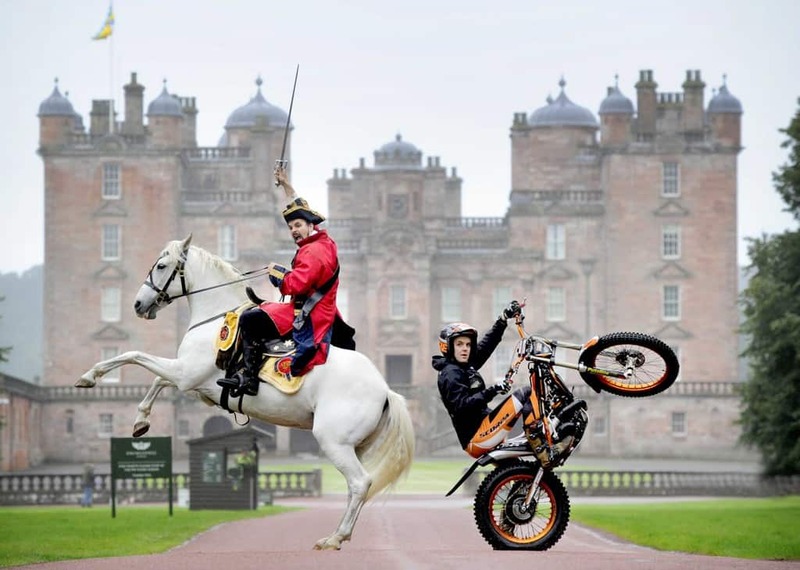 Anna Fergusson, Drumlanrig Castle and Country Estate Manager, said: “This year’s Fair is packed with firm favourites including Elite Falconry, horse whisperer Grant Basin and an exciting array of free activities in the children’s zone from Team Challenge to keep youngsters entertained. “On top of that our first-class traders will be showcasing everything from crafts, home furnishings and clothing to the very best of local food and drink, including live demos – visitors will be spoiled for choice. Galloway Country Fair takes place on Saturday 17 August (10am-6pm) and Sunday, 18 August (10am-5pm).Tickets are £13 for adults, £5 for children aged under 16 years, £10 for concessions and £30 for a family pass (two adults and two children). Under-fives go free. If you’re a fan of camping or glamping, you can enjoy the full weekend of the Fair with the additional option of a one, two or three night stay. Pitch a tent or park a caravan in a green field just a short walk from the showground and Drumlanrig Castle itself. Water, portable toilets and showers are all available on-site and dogs are welcome. Tickets are available now online at www.gallowaycountryfair.co.uk, to book a camping spot please contact info@drumlanrigcastle.co.uk. A 10 per cent early bird discount applies for tickets purchased before Sunday 30 June and those who purchase camping tickets can take advantage of a 15 per cent discount before this date. Visit www.gallowaycountryfair.co.uk for further information and keep up to date with the latest news, or check out @GallowayCountryFair on Facebook and @GCF_Drumlanrig on Twitter.